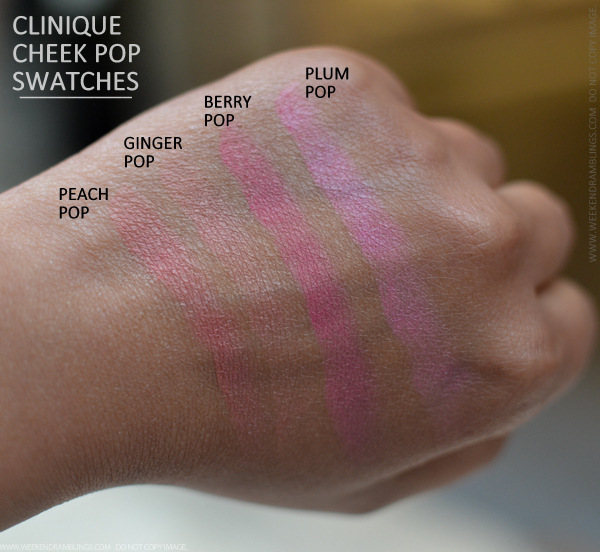 UPDATE - CLINIQUE CHEEK POP BLUSHES (2015) - SWATCHES CLICK HERE. 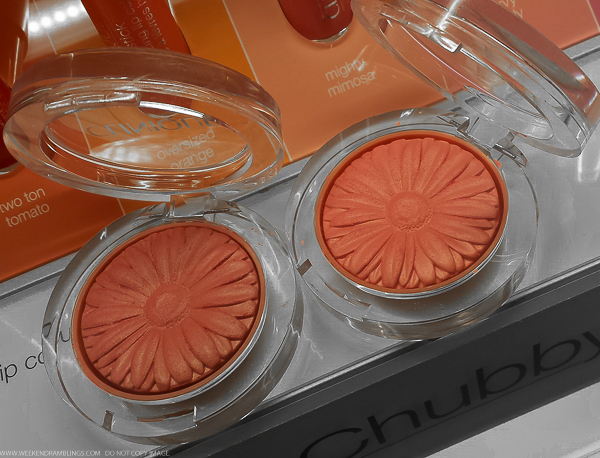 Discover pure, natural cheek color that looks virtually powderless. This silky smooth, stay-true formula comes in a shade for every season for an effortless, natural blush of just-pinched pop. To use, swirl color onto brush and sweep onto apples of cheeks. Gently blend up towards the cheekbones and temples. I have always associated Clinique with pristine, white counters and SAs in long white coats...and skincare. There's hardly anything I use from the Clinique makeup range, apart from the Chubby sticks, and I don't usually associate the brand with anything girly or cute (okay, the Chubby sticks are kinda cute). A while back, though, I saw the Clinique Cheek Pops - adorable little pots of blushes with a cute flower design and cheeful bright colors - so of course, I had to go try these out at my local Sephora. 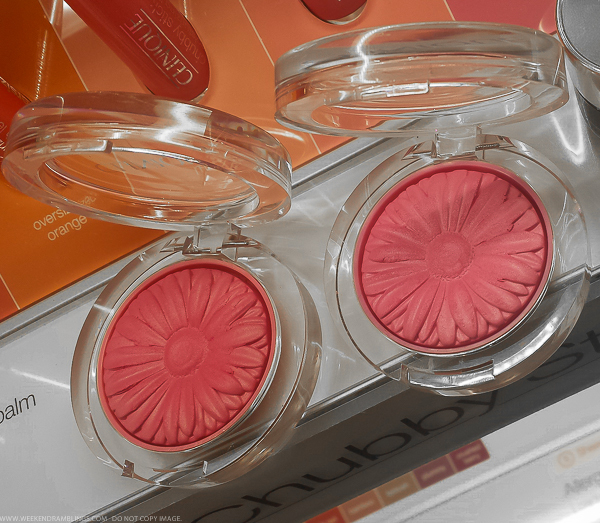 Here's a look at the blushes, photos and swatches on my darker Indian skin. 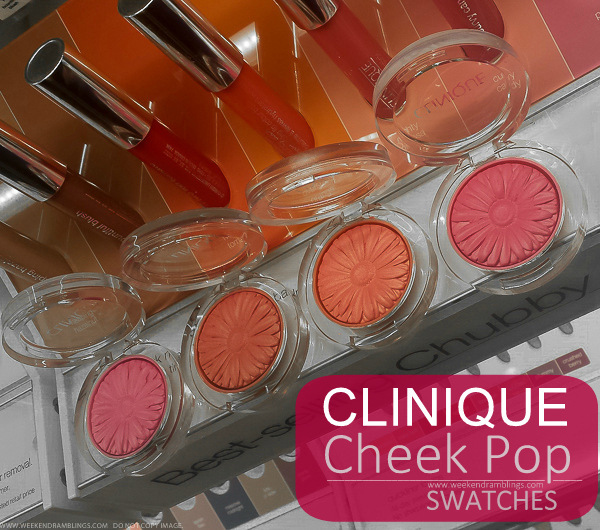 The Clinique Cheek Pops seem to be getting rave reviews online, and for the most part, I think that's quite justified. The design and packaging is adorable, and the pigmentation isn't too bad even on my dark skin. The finish is matte with a sheen, and while there are only 4 shades in the range, it's easy to find at least one perfect blush for any skin tone.